The following article is a follow up of my previous articles on Soil-less growth media. You can check the rest of the media by clicking here. Though sometimes perlite and vermiculite are used as synonyms, they are very different in many aspects. Through this article I wanted to put some light on these. Vermiculite is silicate material which is used in horticulture as growth media. It expands greatly when heated. The name originates from the word vermiculture which means to breed worms. It can hold potassium, Calcium, Magnesium, Ammonium which are needed for plant growth. The color, composition, and pH of vermiculite vary from mine to mine. It is normally marketed in the form of brown cubes. They are generally clean, odorless and non-toxic by nature. Vermiculite is mined in the United State, Brazil, Zimbabwe, China, and South Africa. 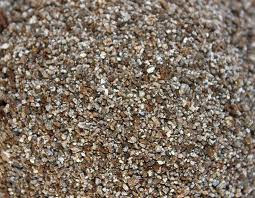 Vermiculite can retain more water than perlite. Its retention of water makes it good for sustaining the growth of seeds. It contains useful trace minerals. Its color is not as obvious as perlite. It is generally cheaper than perlite. You can combine exfoliated vermiculite with peat moss or coconut coir and make a good soil-less growth media. This can be used in the home as well as professional gardening uses. Vermiculite can be a good media for seed germination either used solely or with combination with other media. In the case of vermiculite, very little watering is required. Vermiculite does not rot or turn moldy. It helps the roots of the young plants to anchor and grow. They can be used as a soil conditioner. 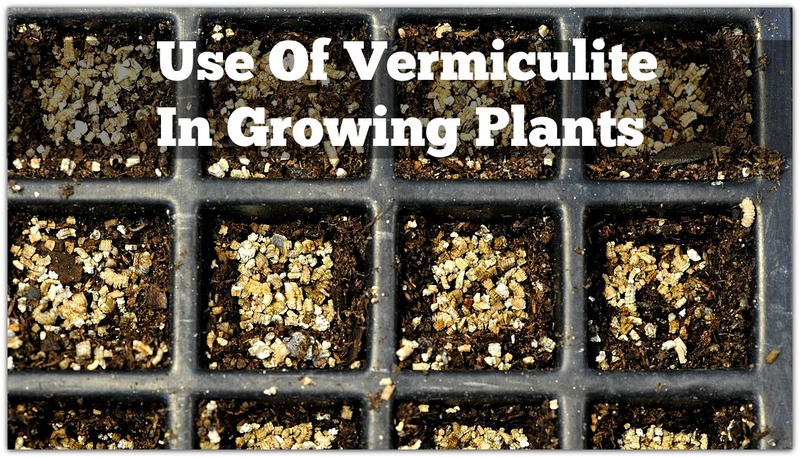 A little mixing of vermiculite can make your heavy, sticky soil breath-ably light. It creates air channels and thus improves aeration. Although not every time, in many cases vermiculite is found to be infested with asbestos which sometimes related to asbestos-related diseases, like mesothelioma. It is also far heavier when compared with perlite so durability problem is always associated with it. At times it can trap too much water leaving the media as soupy soil. Apart from Gardening, vermiculite is used as insulator worldwide. Other usages are as a packaging material, substrate for incubation of eggs, waste treatments etc. In case you have any other points to add to what I have mentioned please mention in the below. Thanks for reading. Hope you enjoyed the article. Can you recommend as to wherefrom buy perilite and vermiculite. I am based at Lucknow. Didn't mention that some vermiculite is high in lead. Isn't there a convenience store there that carries that sort of thing? From what you say, vermiculite could be a problem. How can contamination problems be avoided. I have been mixing good quality potting mix with coir and perlite for several years with pretty good success. I have to fertilize as the season progress and the plants use up whatever is in the potting mix. Hello, vermiculite is not typically recommended for clay soils. Perlite is better because it doesn’t compact like vermiculite making your soil more dense. The asbestos issue. Was one mine that has been closed since 1990. All current ore sources are tested and regulated. Check with your supplier they should be happy to share their knowledge about the issue. Lastly I’ve never seen vermiculite cheaper than perlite. But I only manufacture and sell it in the US and Canada.